Located in the easily accessible Tatimatimisaki district close to the Yachigashira tram station, Hakodateyama Guest House commands a wonderful view of the sea and the city of Hakodate. Gorgeous Japanese style rooms, onsen-style bath, and spacious relaxation areas are available to all guests. Our friendly staff are always happy to help you in any way they can! Best guesthouse!! The view from the living room is amazing and the hostess is wonderful. Very nice and helpful. I had an amazing time. 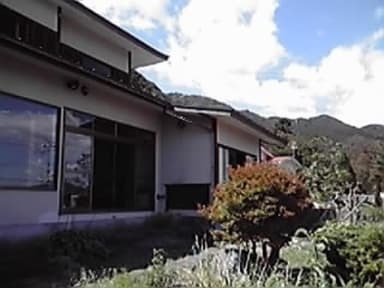 This guesthouse was our favourite in Japan! It is absolutely beautiful, full of vintage furniture, with a wonderful view out over the bay, and a record player with the most amazing collection of music that you can play. The host is so, so lovely as well. Excellent hostel. Facilities are awesome and the owners are absolutely lovely. The view over the ocean from the common room is amazing, somewhere you could sit for hours. Thoroughly recommend this place for anyone staying in Hakodate. Loved this place! Very welcoming and super friendly host. The view from their house is amazing. Very near the cove and mountain. Would stay here again when in Hakodate. I loved staying at this hostel. The owner is attentive and always available to chat or offer advice about what to do around the city. Her house is absolutely beautiful and full of old, interesting things. She has an extensive record collection, comfortable seating and bedding and a bathhouse like bathroom. It's really a great place to stay. It is located towards the bottom of the mountain, so you have to walk up a hill but the view is worth it. I would definitely stay here again. One of my favorite hostels I've been to - the staff really made me feel like I was part of a family. They even fed me some special Japanese foods. The ambience of the place was really incredible - as soon as I walked in the front door it felt like stepping back in time. Spotless bathrooms, traditional Japanese accommodations rounded off this fine experience. Location is great if you like walking, being around nature since you're located right at the foot of Mt. Hakodate. Great hostel. The location is a big tricky but it offers a great view.